One warm summer morning some four score years ago a young Spaniard and his Señora rode into Señor Castro’s old hacienda, situated near the present Pinedale Court tract in Hayward; and as many travelers asked for food and lodging here, it was freely given. After the young couple had accepted Señor Castro’s hospitality, partaken of his delicious luncheon, they set out on fresh horses to ride to some point of interest in the surrounding country. Their host saw them depart in the direction of the LONE TREE, which was quite a mark of distinction in the days when Castro owned hundreds of acres on all sides, with not a sign of settlement anywhere within eyesight. Two hours or more later, an old Spanish man, tired and travel-worn, arrived at the hacienda, presumably in pursuit of the young lovers, claiming to be the girl’s father. He inquired for a pair answering the description of those two who had ridden away not long before, and when informed of the general direction of their course, chose that as his own. Several hours later the old Spanish gentleman returned to bid Señor Castro farewell, and went on his way back to his home in Mexico. Evening came on and Señor Castro harbored a certain anxiety for his young guests when they failed to return after nightfall. Questioning, he found that some of his vaqueros had seen two horsemen riding up to the LONE TREE, followed sometime later by a single rider. When morning came, and they were still unfound, Señor Castro had some of his men launch a search for them. Great, indeed, was their shock and surprise to end their hunt for them by finding the dashing young Spaniard and his beautiful bride lying side by side. Asleep? No. Both shot dead. The old gentleman had settled his score as he saw fit, and had gone his way, while the youthful lovers, their romance ended, lay dead under the great lone oak tree, killed by the avenging father and unwilling father-in-law. 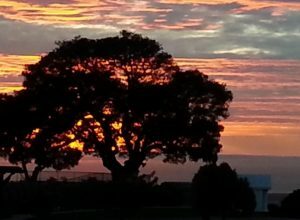 And so the story goes, that attracted a group of men, intent on establishing a CEMETERY, to the site where the romantic adventure had ended and where the eloping couple had been buried—under the LONE TREE. For the sake of the story, Edmund Dole, Dr. Edwin Kimball, Leander Linekin, Joel Russell and others of the early pioneers, acquired about thirty-five acres immediately around the lone tree, calling the land “LONE TREE CEMETERY” since there had already been burials there, under the tragic circumstances. Years later, other trees were planted and the ground landscaped, but the original old LONE TREE still stands today. 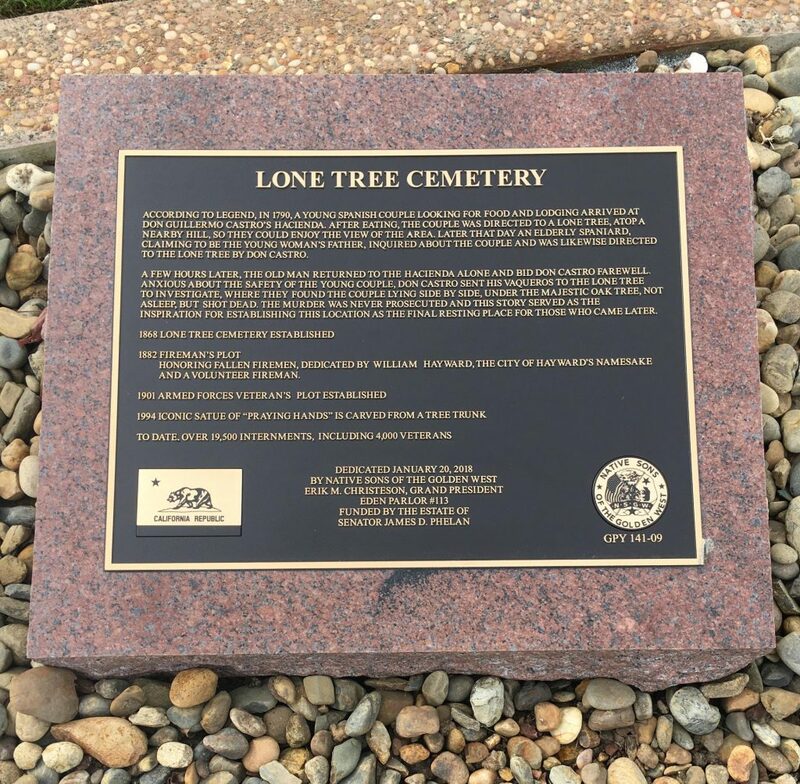 Thus few people have known the true story of why LONE TREE CEMETERY was so called, and why situated as it is. It was not merely chance.